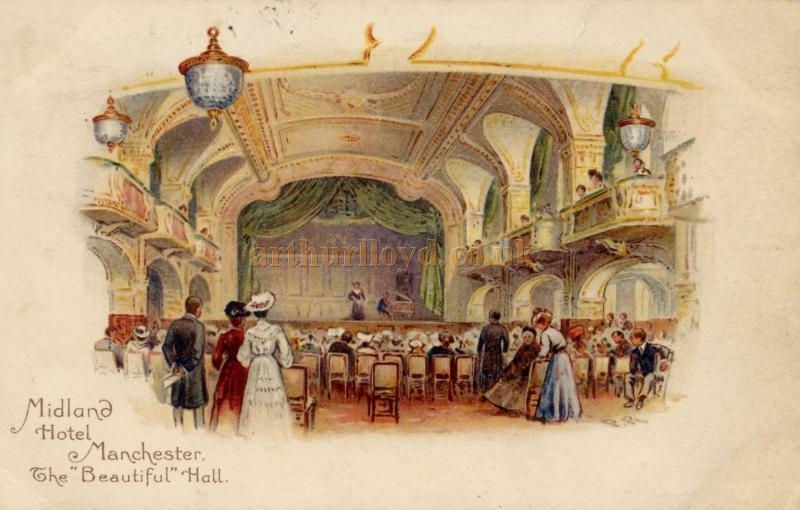 Above - A Postcard depicting the auditorium and stage of the Midland Hotel Theatre - Courtesy Maurice Friedman, British Music Hall Society. 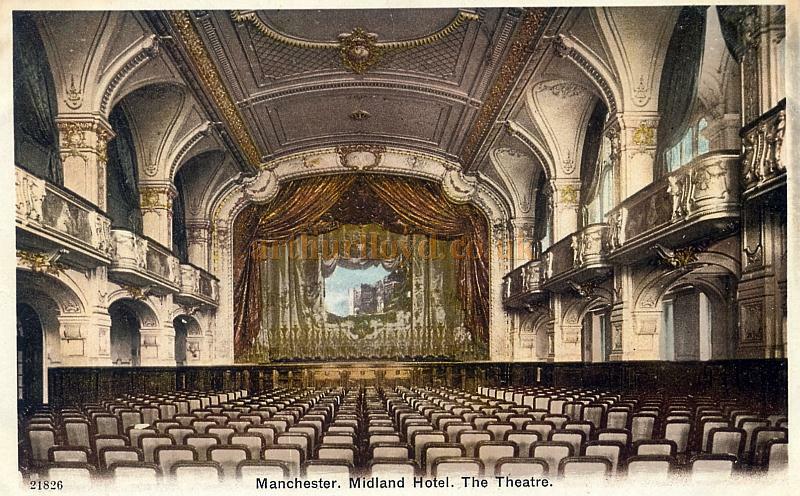 The Midland Hotel Theatre, Manchester was built in 1903. The Theatre was eventually dismantled in 1914. 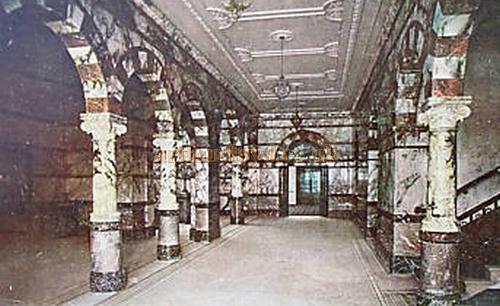 Right - A Postcard depicting the Foyer of the Midland Hotel Theatre - Courtesy Maurice Friedman, British Music hall Society. If you have any more information about this Theatre, or have programmes or images you are willing to share please Contact me.